Don't judge breast cancer patients by how they look. 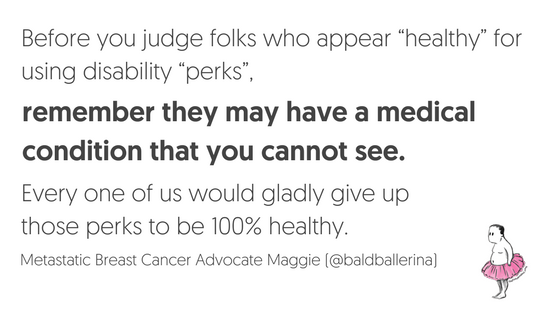 Don’t judge breast cancer patients by how they look. We hear so many comments about what someone “should look like” while they are in treatment for breast cancer. Does it make it easier to avoid a hard conversation? Or that awkward silence when the word “cancer” comes up? It is easier to know that a person is in treatment when they have lost their hair or their skin tone is “a little off”. But patients that have been living with metastatic breast cancer may not show obvious signs of the disease. Try to be considerate before you speak. It’s better to ask questions than to make assumptions about people. And we think that’s good advice on any day, cancer or no cancer!